In our rapidly changing business and social environment more relevant salon management strategies must be developed. More effective goal-setting and planning processes must be learned, practiced and assessed; and performance must be targeted. Teams of independent creative people must spend real time improving their methods of working and improving their performance. The Stylist-Client workflow and procedures are critical to future growth and profitability. More often than not there are competing or conflicting groups of people or working methods at work in the salon and it is the managers’ task to move the team towards a more collaborative way of working. In order for possible changes to be considered, Identified, analysed, implemented and managed, a planned change effort is necessary - a program of salon development. This programme must start with an aided diagnostic assessment. 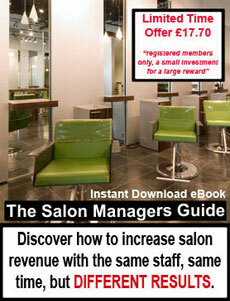 This document is the starting point as it helps salon management consider measure and manage the diagnostic process. This is not a difficult or complicated process when worked through with knowledge and the correct tools. Controversially this business diagnostic does not begin by analysing the salons’ current “Business Plan” in fact outside of this page the business plan will not be mentioned again. A business plan majors on Financial Forecasts and Analysis, Operations, Business Development, and Business Goals, much of this is likely to change once a detailed Business Diagnostic Assessment has been carried out, so any effort analysing the business plan now would be counterproductive. The objective of this assessment is to find ways of increasing salon productivity whilst maintaining a happy and stable working environment for all staff in a way that is welcomed and encouraged by salon owners and their shareholders. Once this has been achieved attention can be turned to upgrading the salon business plan. The motive to develop the Full Column business development tools is driven by the authors’ passion to aid salon management with methods of improving staff knowledge and professionalism, generating in them an awareness of their personal responsibility in generating more salon revenue and to drive substantial business growth whilst retaining respect and integrity for clients and staff. More “business savvy” salon staff who work cleverly towards increasing personal column revenue, whilst retaining respect and integrity for clients. 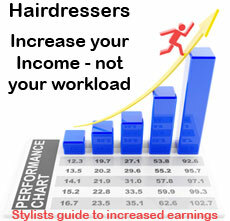 Increased salon revenue –via- a detailed staff-client workflow strategy. More effective salon marketing driving new business to the salon. Our industry is changing of this there is no doubt and without a solid strategy to consider, implement and manage change; salons will be in for a rough ride. Business survival and salon business growth has to be managed, it will not just happen. Salon management bears the heavy responsibility of ensuring that the salon is kept busy with a constant flow of clients. This can be a challenging task, one that the staff working for you will never truly appreciate and (with non intentional complacency) they will rarely work to 100% efficiency unless you, the salon manager make it happen. Future success in your business is based upon your ability to manage people, resources and change. Manage with a heavy hand and you will lose your best staff, manage to weakly and you will lose your best clients! Manage strategically and your business will grow with an increasingly happy and loyal salon team. Our Salon Business Diagnostic Assessment is a hefty Step-by-Step document, which helps the salon owner or salon manager to consider all of the important aspects of salon business management which can lead to profitable growth. By virtue of reading through and completing the document the salon owner or salon manager will become more "aware" of the salon business and any productivity issues and opportunities it may have. The Document is the initial blue-print for developing a Salon Business Development Strategy. The document is an invaluable starting point if your salon is not progressing as you hoped it might.